While there have been several apps in recent times that are meant for individuals with autism, none of them have been able to match the popularity of the “Make Sentences” and “Just Match” apps. These two apps help children with autism to improve their communication and also increase their language abilities through innovative mobile communication gadgets like the iPad, tabs and smartphones. 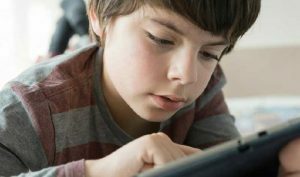 The “Make Sentences” and “Just Match” fun learning apps for children with autism reduces the barriers of functional communication that for people with autism spectrum disorder having language delays. At the same time, these two apps strengthen the core vocabulary of the child using common meaningful items from the environment. Augmentative and communication apps enhance the learning of academic skills by reinforcing the basic language through a robust and dynamic library of life-like graphics. This has made the “Make Sentences” app one of the best in the industry to build vocabulary skills. The two highly intuitive and child-friendly apps have in-built customizable features that have been particularly designed for special needs children. Both these apps have won accolades from special education groups.